Public housing is limited to low-income families and individuals. The Housing Authority determines your eligibility based on: 1) annual gross income; 2) whether you qualify as elderly, a person with a disability, or as a family; and 3) U.S. citizenship or eligible immigration status. If you are eligible, the Housing Authority will check your references to make sure you and your family will be good tenants. 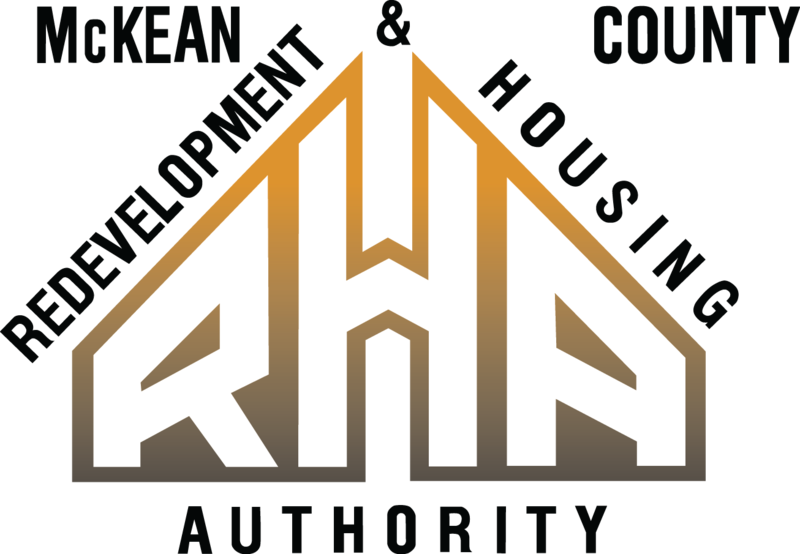 The Housing Authority will deny admission to any applicant whose habits and practices may be expected to have a detrimental effect on other tenants or on the project’s environment. The McKean County Housing Authority owns and manages 416 public housing units in McKean County. These properties are located in Bradford, Smethport, Port Allegany, Eldred, Lewis Run, Kane, Foster Township and Mt. Jewett. Each location has a separate waiting list. All waiting lists vary in size depending on bedroom size needed. All Public Housing units are SMOKE-FREE. The McKean County Housing Authority can assist qualified applicants with rental subsidies through the Section 8 Housing Choice Voucher Program. Housing Choice Vouchers allow very low-income families to choose and lease safe, decent, and affordable privately-owned rental housing. Since housing assistance is provided on behalf of the family or individual, participants are able to find their own housing, including single-family homes, townhouses and apartments. Central Towers is a 6 (six) story building that was constructed in 1978 for the purpose of providing affordable housing to elderly and disabled, income qualified individuals. There are 83 one-bedroom apartments with a kitchen, living room, bedroom and bathroom. There are 5 handicap accessible units located on the first floor. There are additional units with “cut-out” tubs on the higher floors. Rent is based on income and includes all utilities and basic cable. On-site amenities include 2 elevators, a large community room, coin-operated laundry room, a pavilion, a beauty salon, and a computer lab.